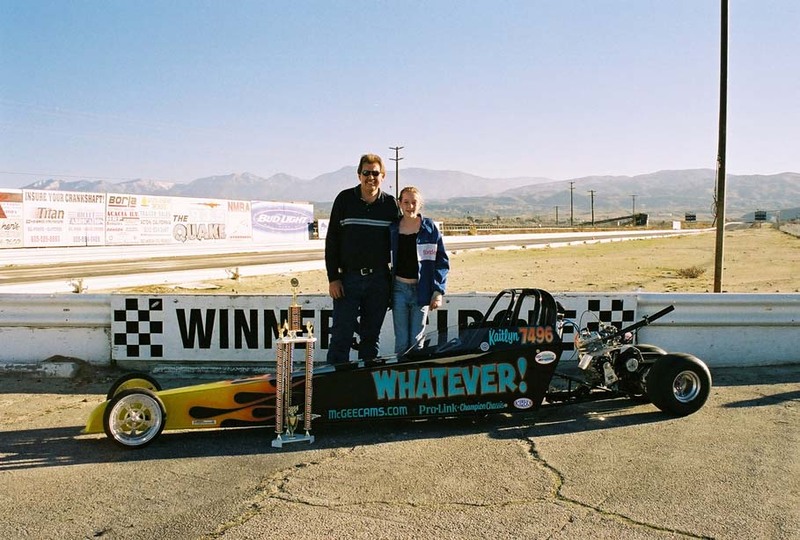 Kaitlyn McGee, pictured in the Winner's Circle with dad Chris, won the prestigious Kid's 4 Kids event at LACR in Dec 2004. Kaitlyn has also won races at Pomona, The Del Cox Classic at Famosa, and the 50th Anniversary NHRA Championship race at Qualcom Stadium. Outside of racing, she was "Little Miss Canyon Country" in 2002.